To be used in conjunction with the Error Coin – List Project page. Each error coin image has a reference number, find the description for that particular error coin type on the Error Coins – List project page. Note that many images have been provided by other people and as some were images from sales websites or images of coins posted on social media, the quality isn’t consistent. For a lot of images I do not know who the copyright owner is, so if any of these images belong to you I will of course remove them if required – I do not want to infringe anyone’s copyright! There are 3 pages dealing with error UK coins on this website. 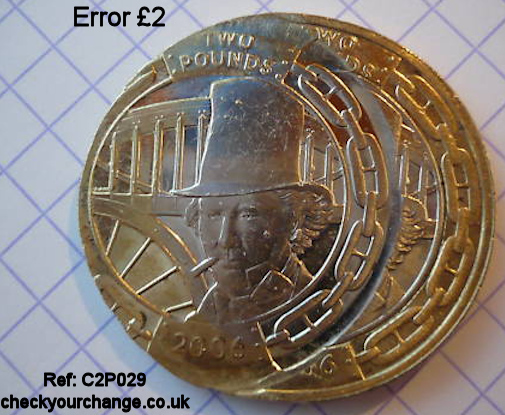 Error Coins – Introduction introduces the most common types of UK error coins, explains how they come to be made etc. 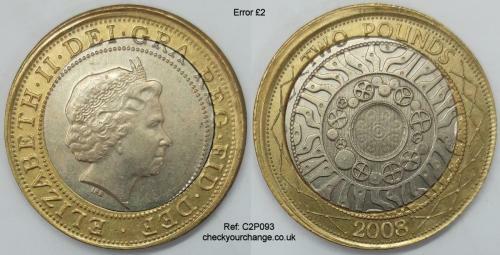 It also includes a warning about fake errors as well as info about authentication. 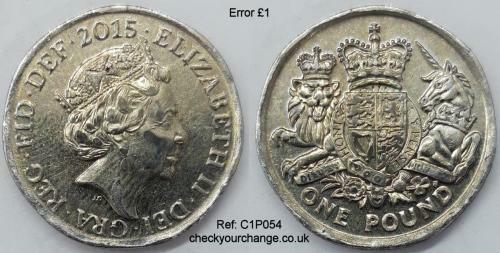 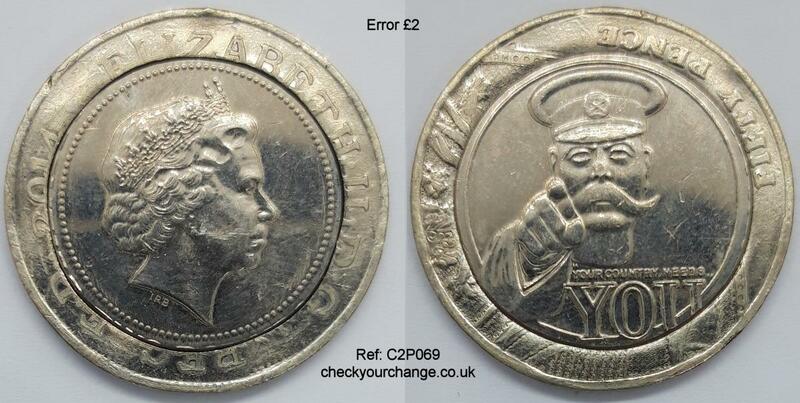 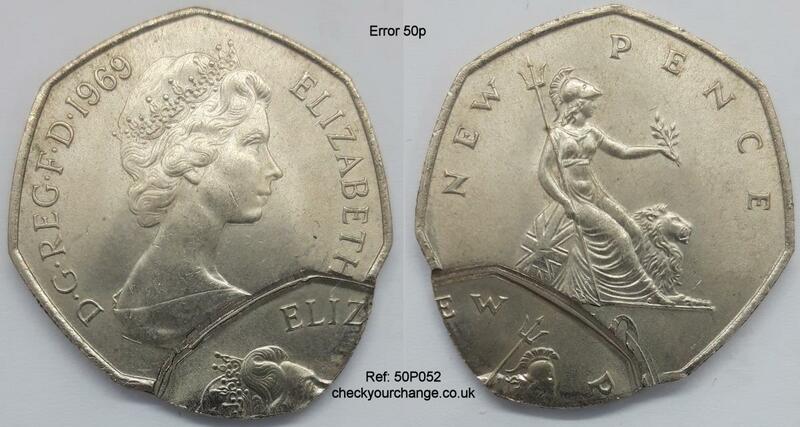 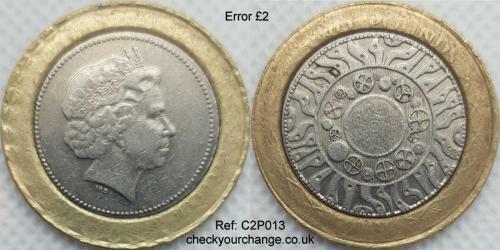 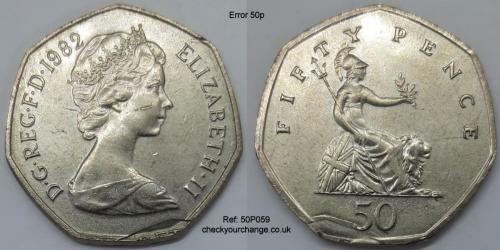 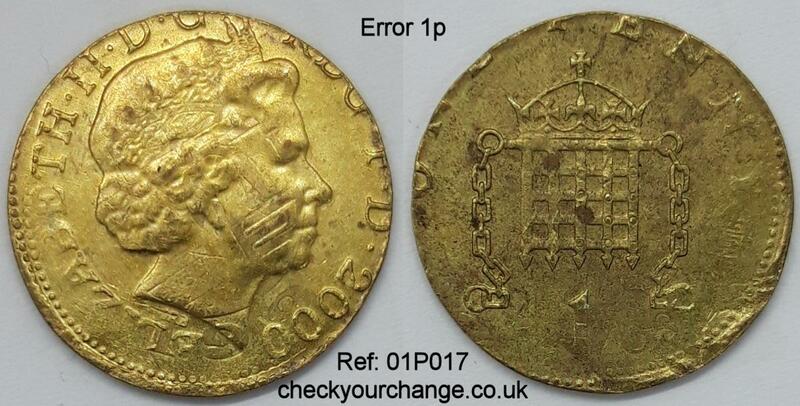 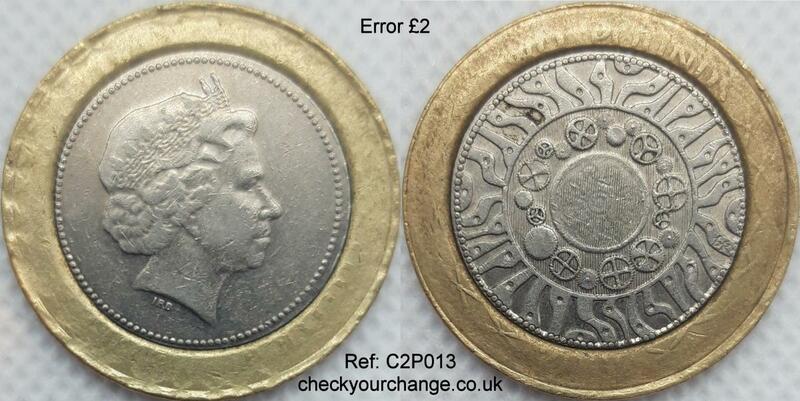 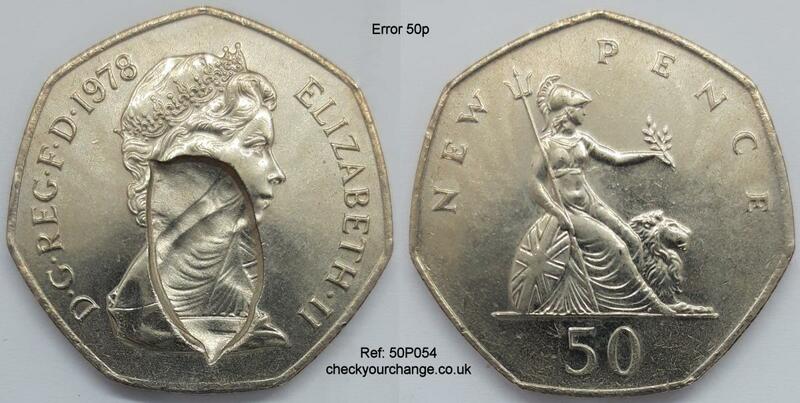 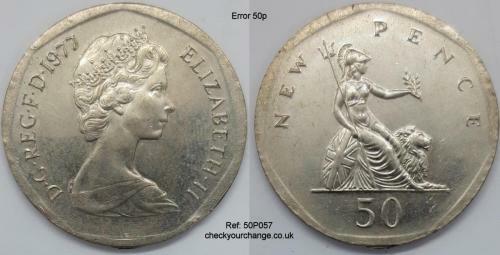 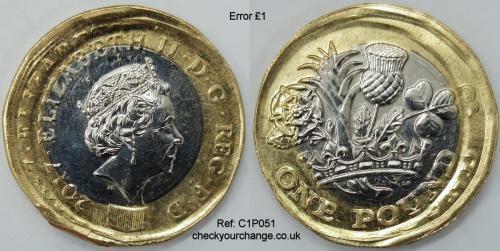 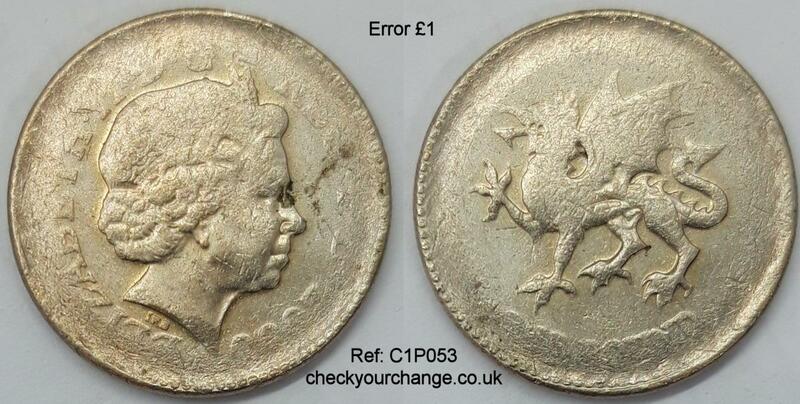 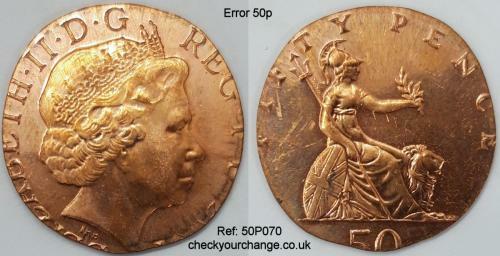 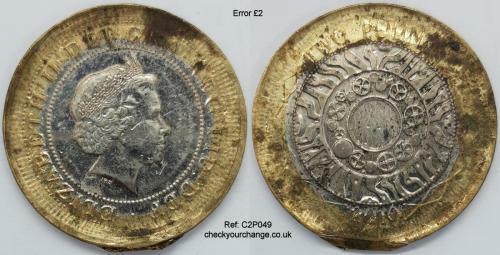 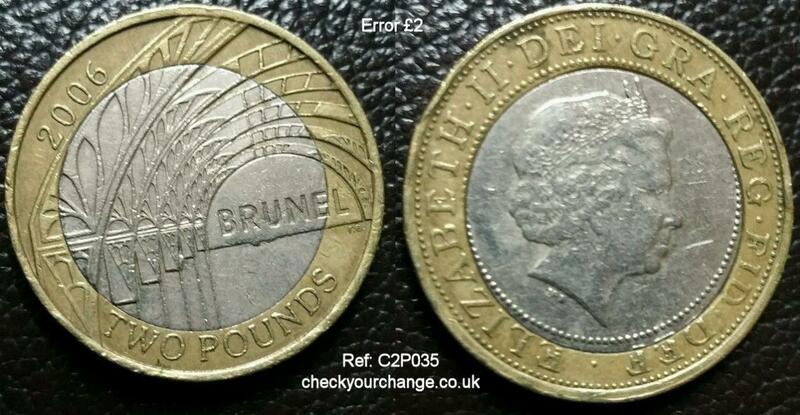 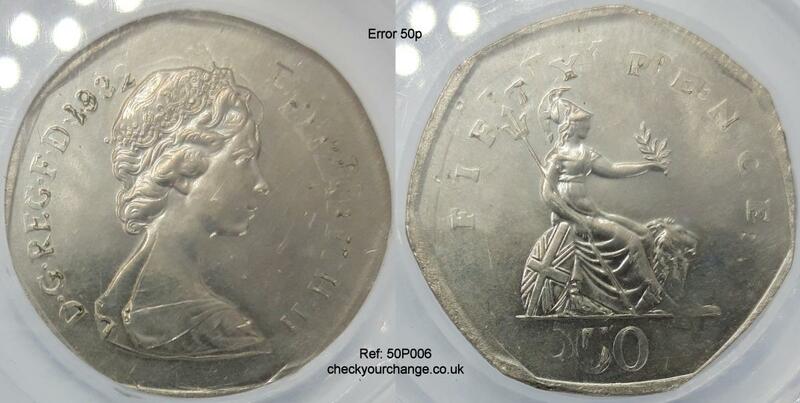 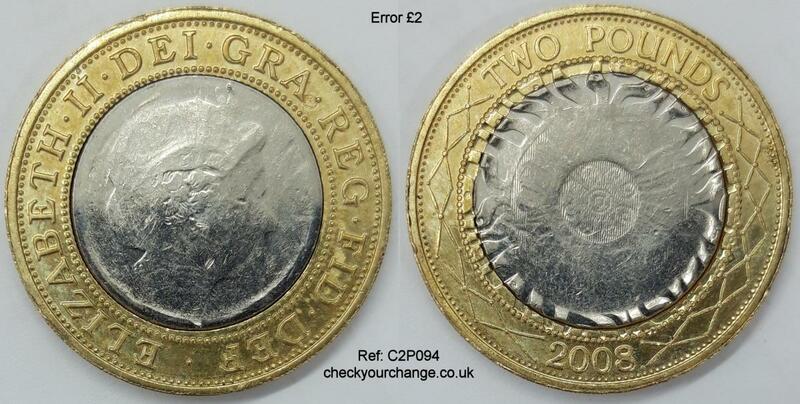 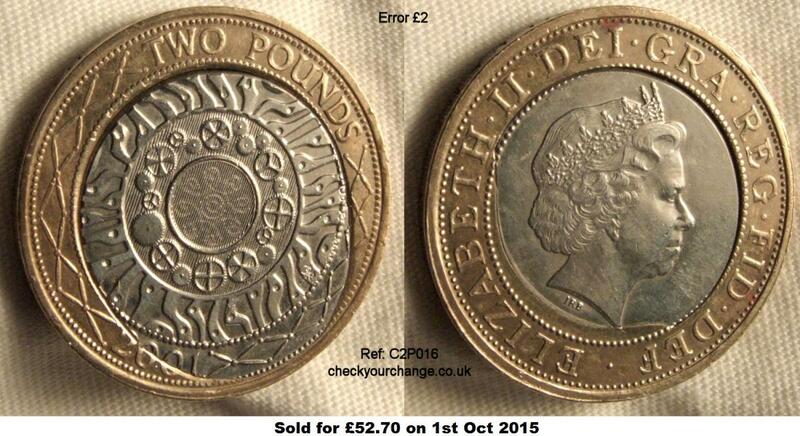 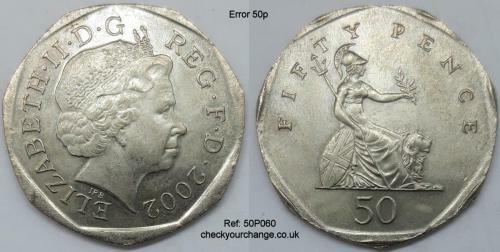 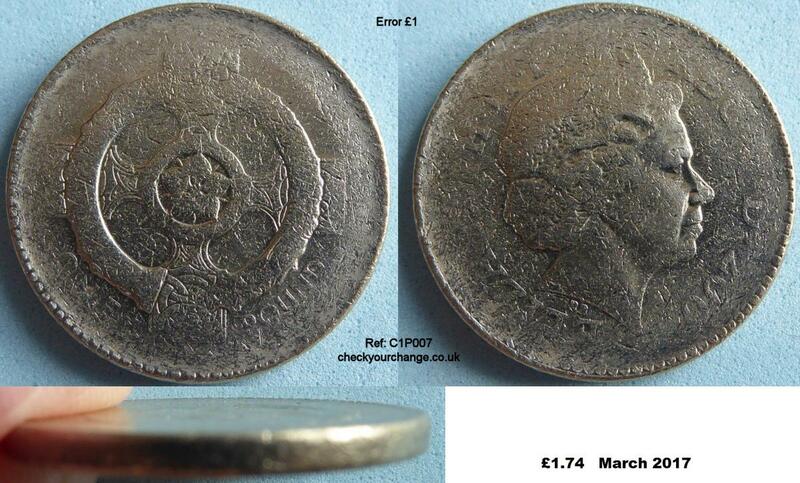 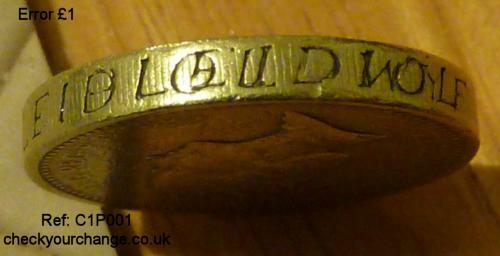 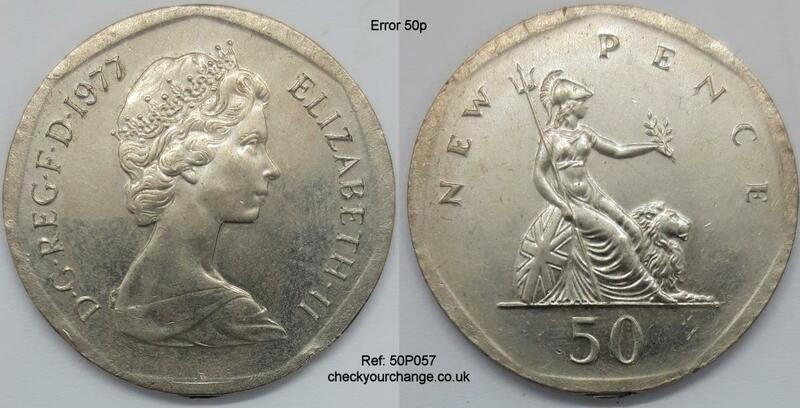 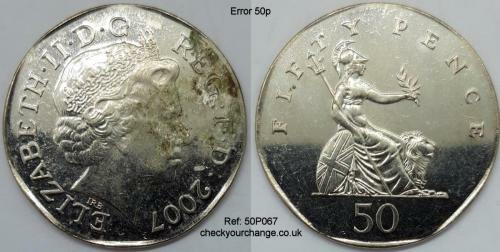 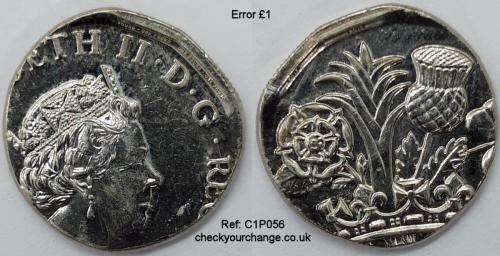 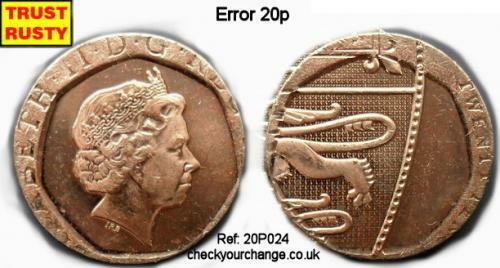 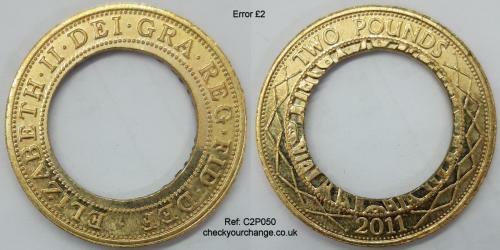 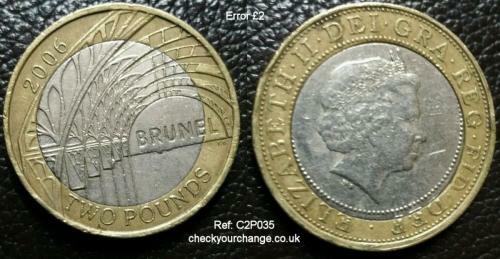 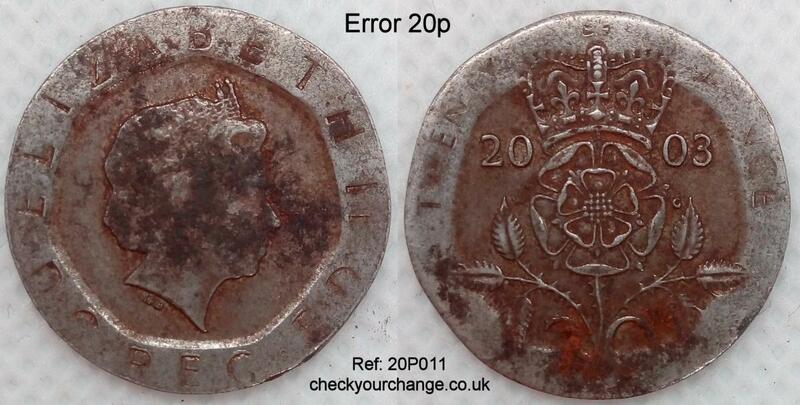 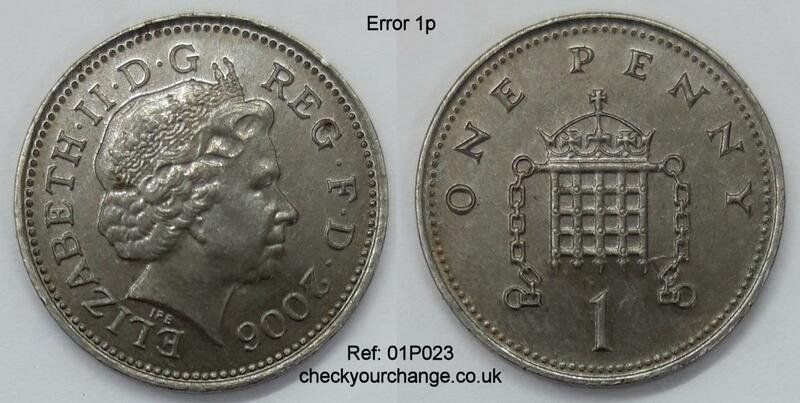 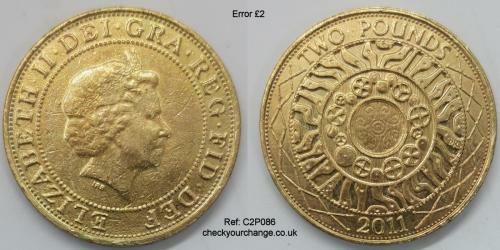 Error Coins – List Project features a table of over 350 confirmed UK error coins, ordered by denomination then date. 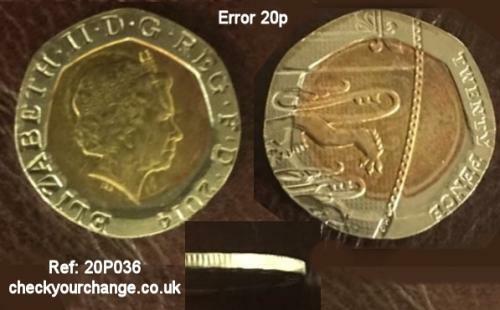 It does not include certain errors relating mainly to random planchet problems before the coin is struck nor does it include UK territory error coins. 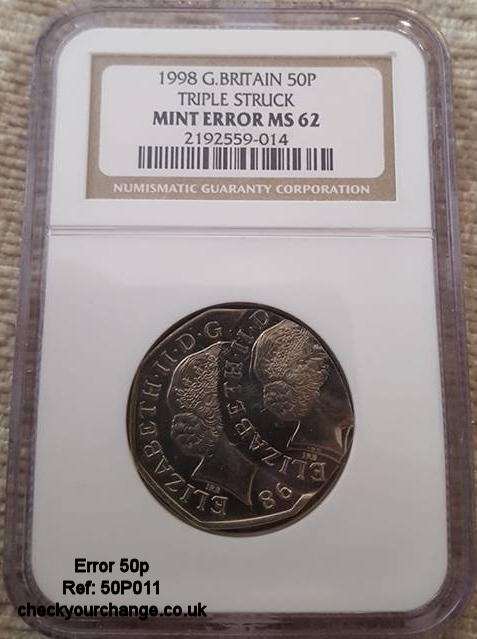 Each error coin has been assigned a unique reference number. 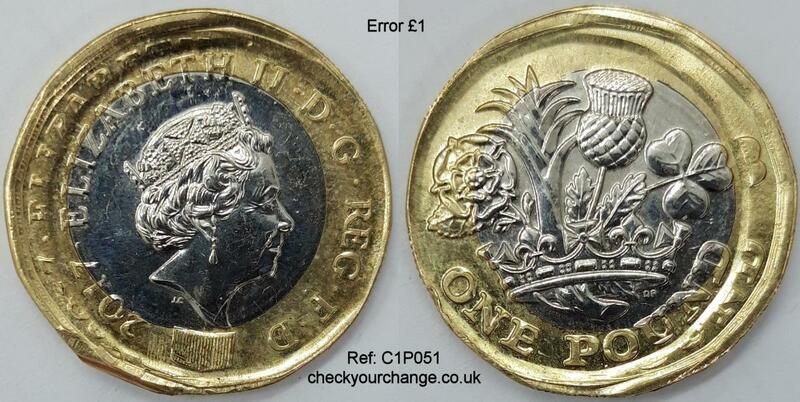 Error Coins – Images is a gallery of exactly what it sounds like! 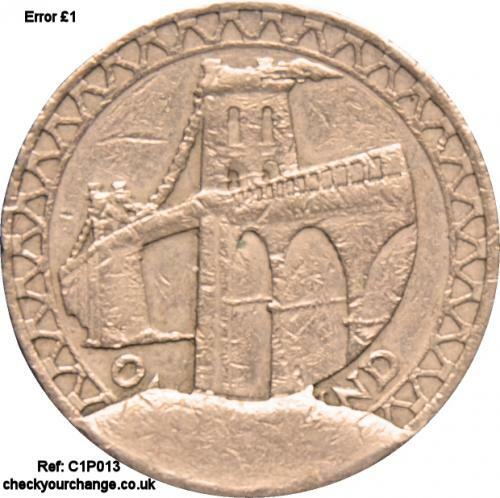 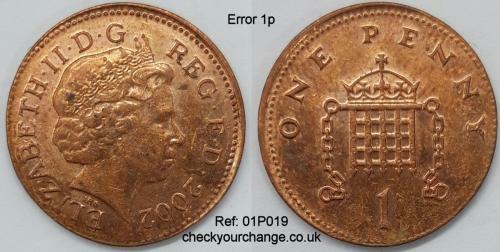 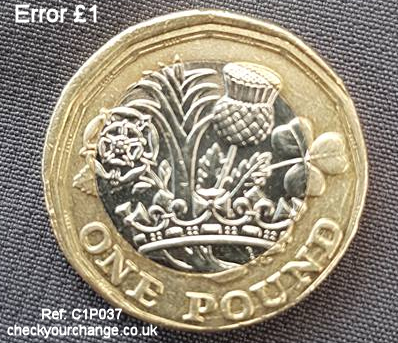 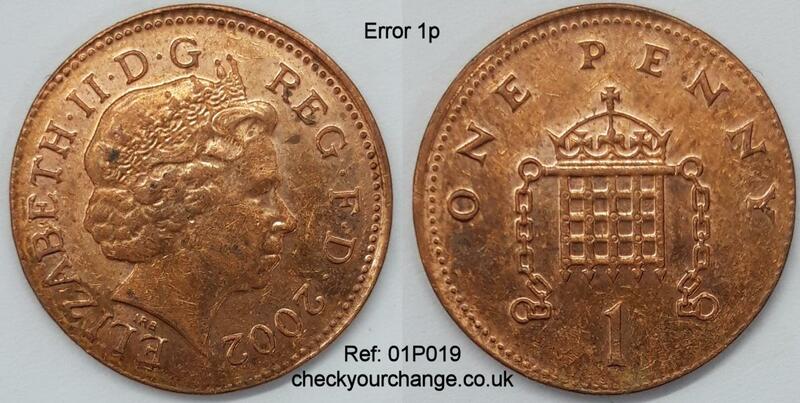 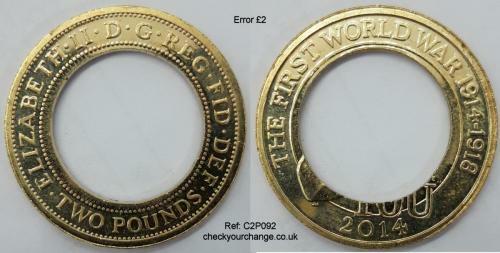 Images are ordered by denomination then date and each is labelled clearly with the same unique reference numbers assigned to the coins on the Error Coins – List Project page. 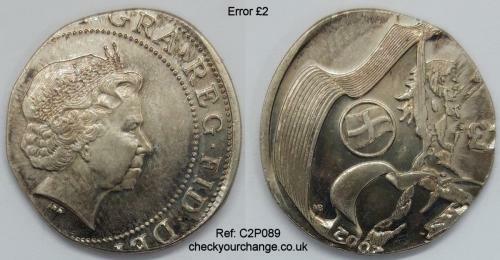 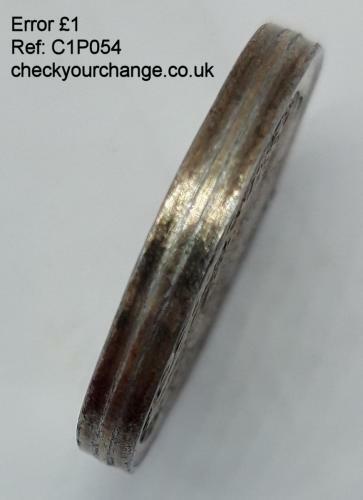 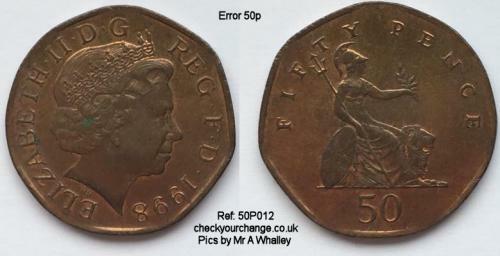 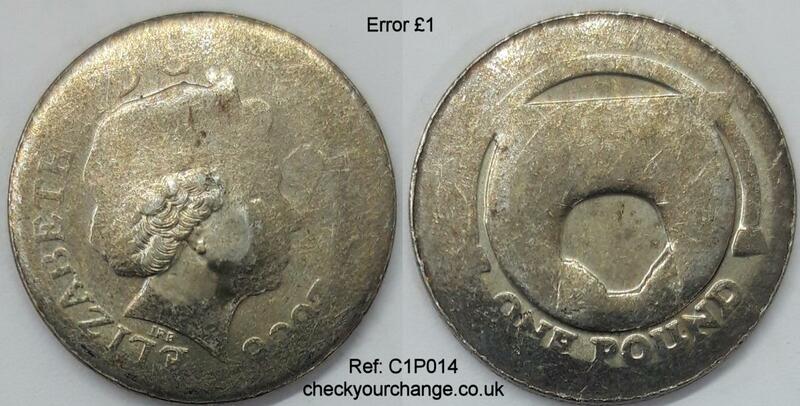 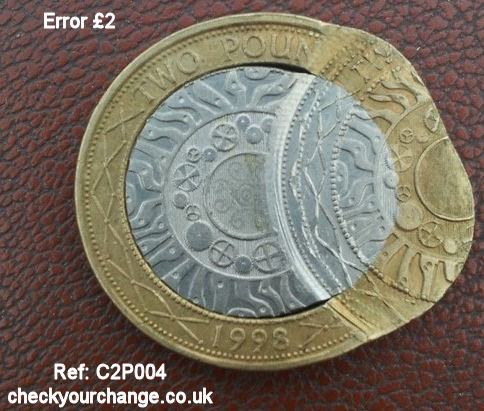 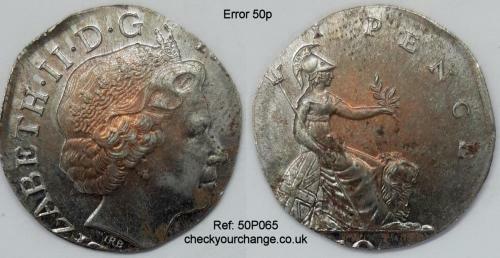 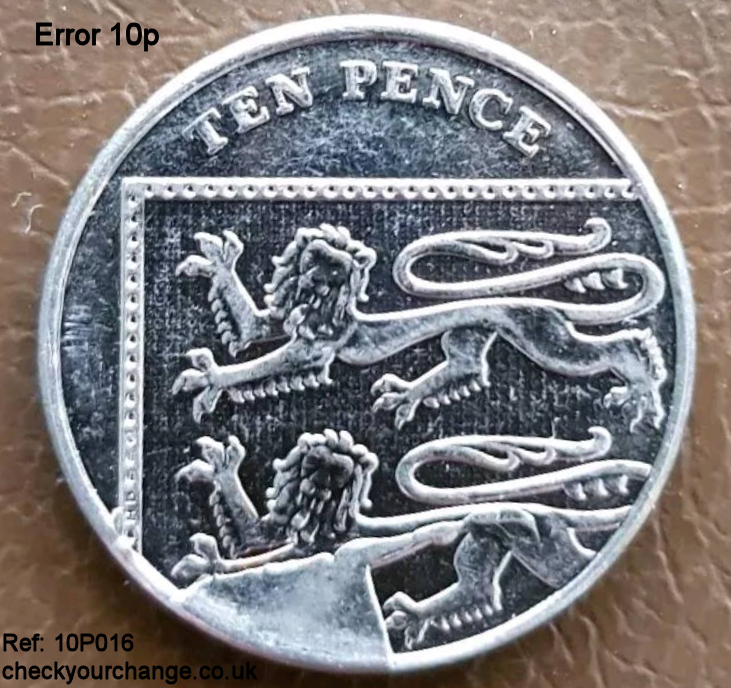 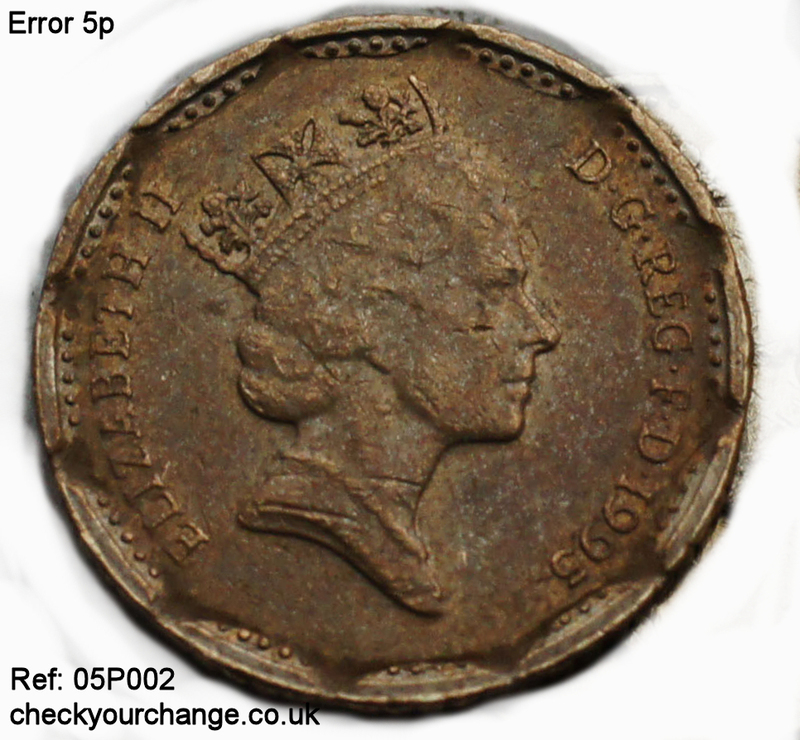 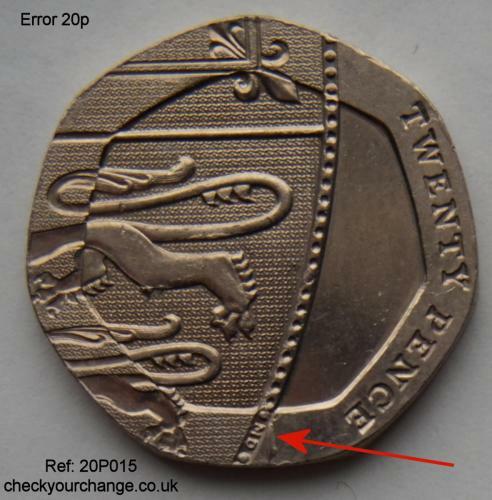 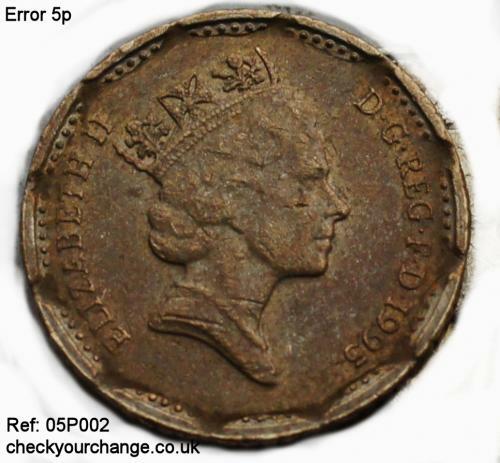 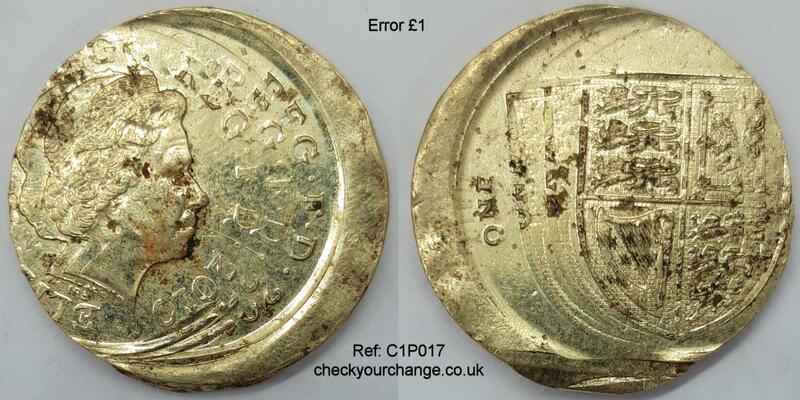 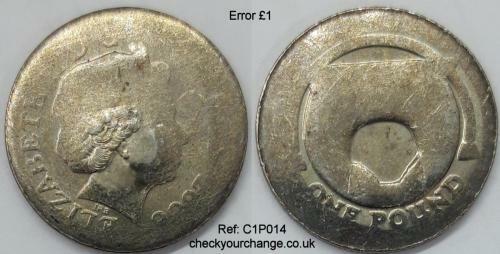 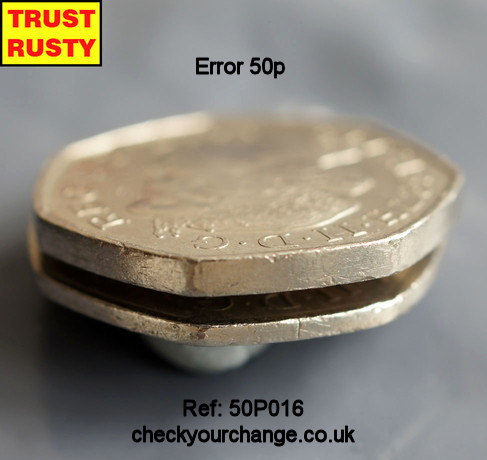 The Check Your Change UK error coin project is as far as I know, the largest online published project concerning UK error coins. 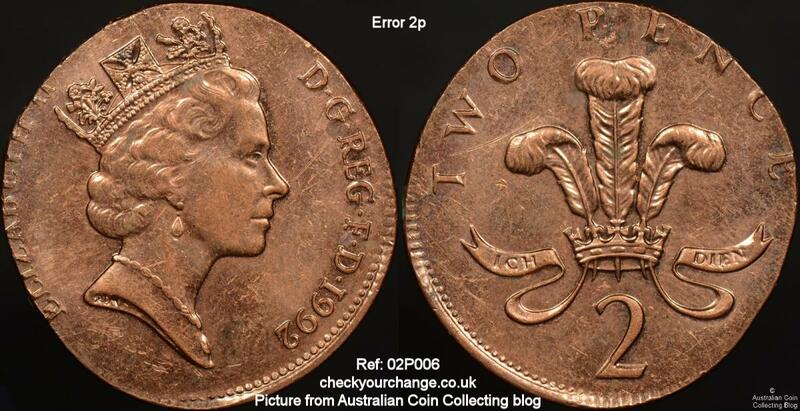 Error coins are a fascinating side-line to normal coin collecting. Not only do many of them look fantastic, but they can also reveal clues about the minting process and are excellent study aids for better understanding of all aspects of the manufacture of coins. 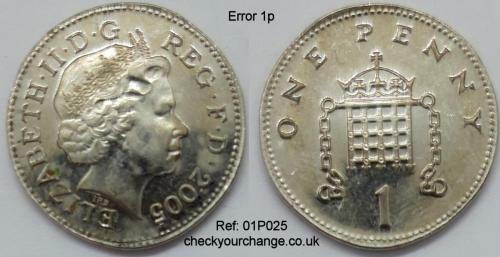 Most are not as valuable as the tabloids and regurgitated online coin stories would have you believe, so if you found this website after reading something in a newspaper or an online news outlet, forget the hype, or at least treat it with a very large pinch of salt! 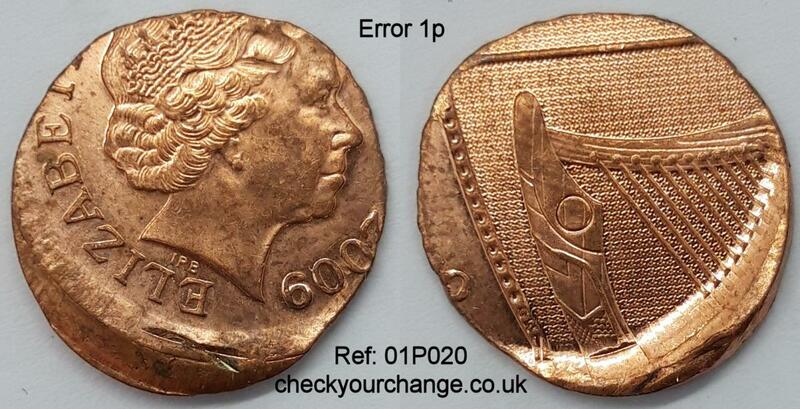 Very few errors are of high value. 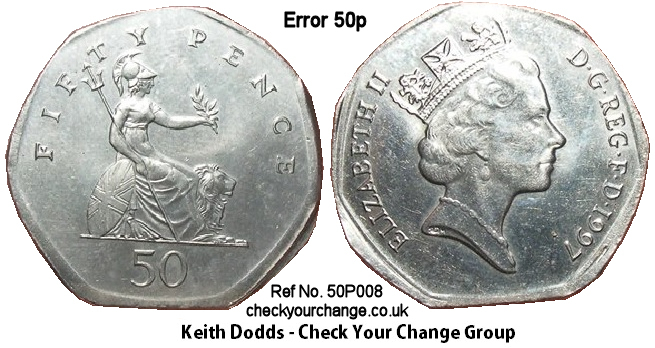 Anything is worth what someone else is willing to pay for it on the day, but errors can cost as little as a few pounds and very few are worth more than £50. If you see a coin on eBay described as ‘rare’ or even ‘unique’ check the list and images here, as many error types are known and some are certainly not unique or even particularly rare! 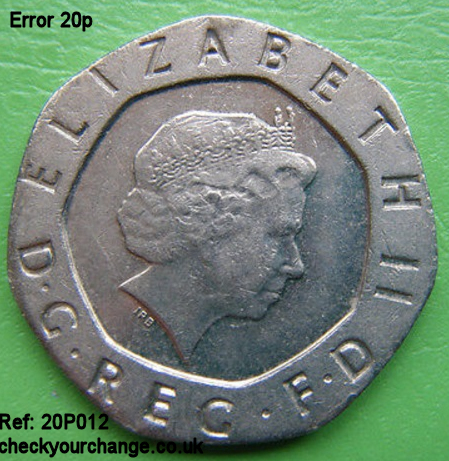 A phenomenon that often occurs with error coins (and some new coins in general), is that the first one or few made available sell for quite high amounts, but then people realise that they were perhaps not as rare as was first thought, and the price people are prepared to pay not only drops significantly but as more people become aware of the particular error, more people look and more are found, which also increases the supply (and not the demand). 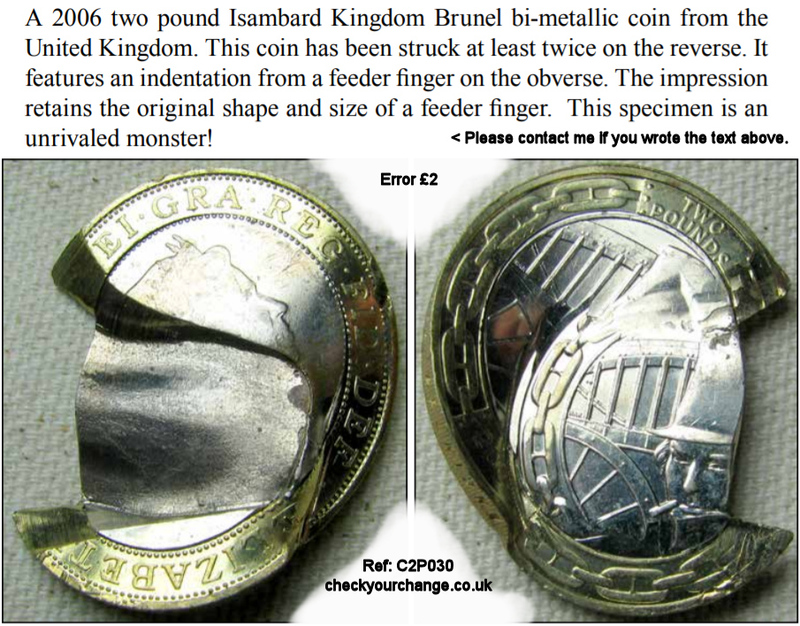 I need you to help this list and information grow! 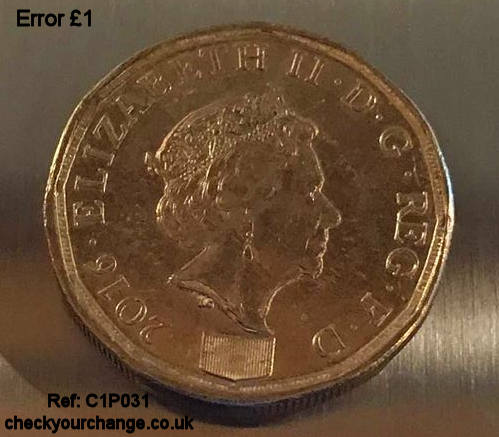 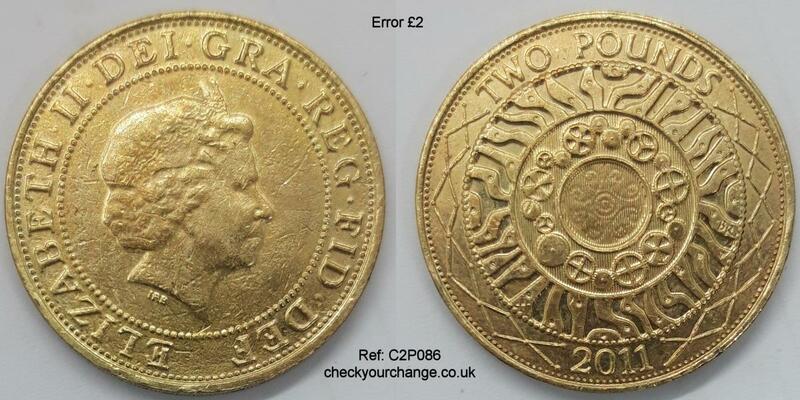 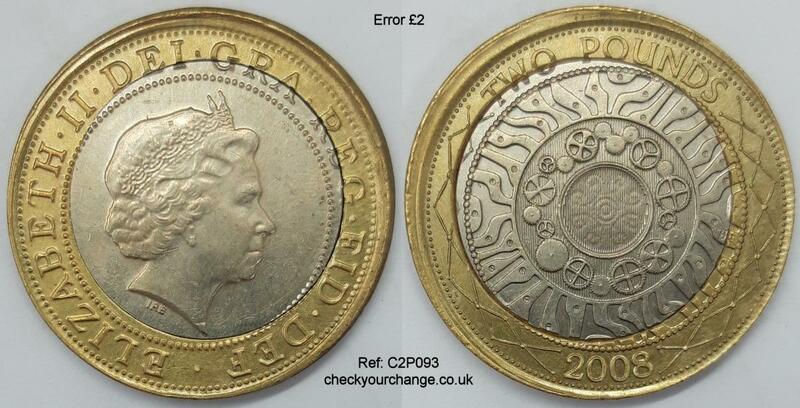 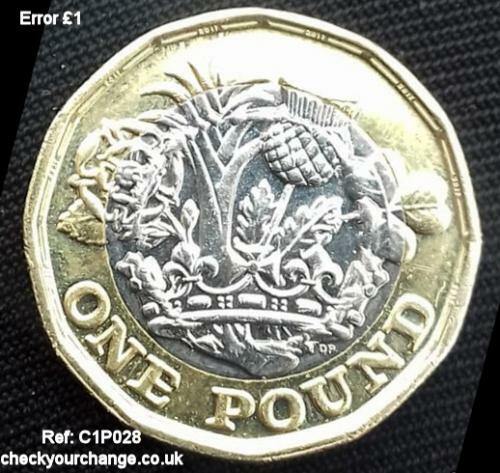 If you think you have a UK error coin that is not shown on my list, please let me know via email (including pictures and accurate weight/size if possible). 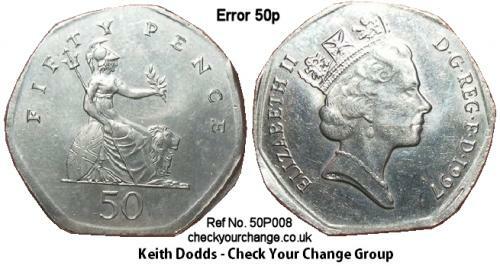 If it meets my criteria I will add it to the list. 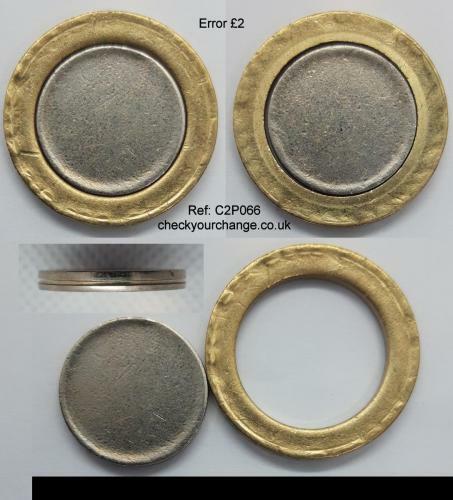 If it needs further investigation I may request to examine it to subject it to a very accurate weighing, measurement and also (where required) an X-ray fluorescence non-invasive check to find out the metallurgic make-up of the coin.